Faux Eggs Benedict delivers the great taste of classic Eggs Benedict in just minutes, with minimal clean-up. 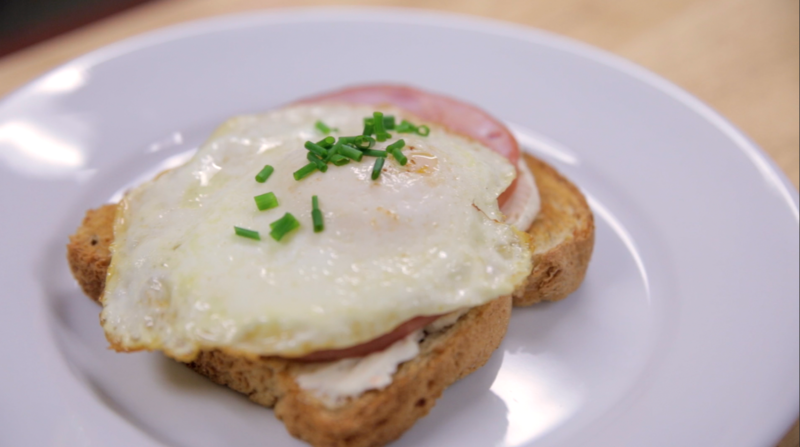 Top toast with a fried egg, veggie cream cheese and crispy Canadian bacon. Toast Bread. Warm the Canadian bacon in a skillet over medium heat or microwave. Set aside. Fry the eggs to your desired doneness (i.e. over-easy). Assemble the dish. Spread one tablespoon of cream cheese on each slice of toast. Top with Canadian bacon. Next add the fried egg on top. Salt and pepper to taste. Garnish with fresh chives. The cream cheese, combined with the yolk of the egg, provides the creaminess and texture of a classic Hollandaise Sauce. Using multi grain bread and vegetable cream cheese adds extra nutrients to the dish. 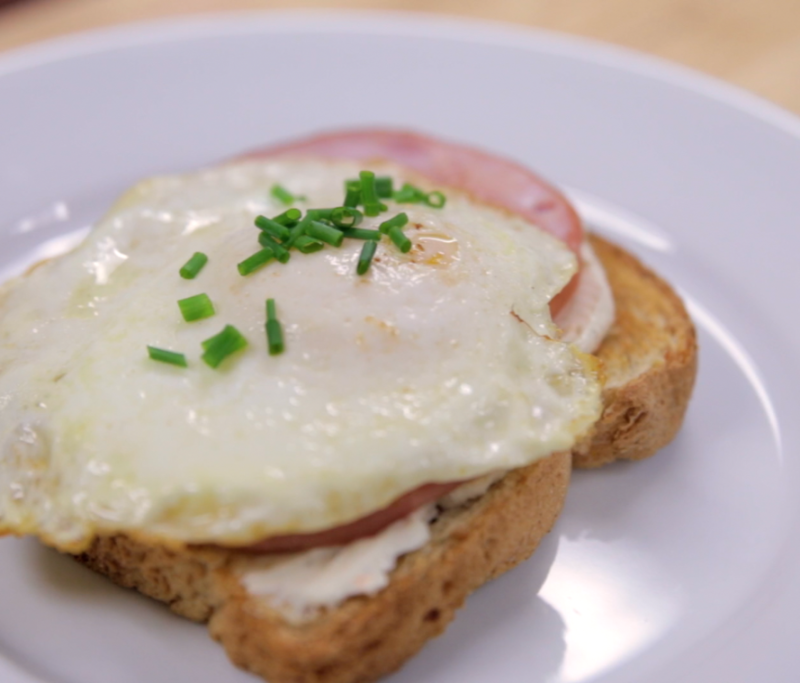 Watch how easy it is to make Faux Eggs Benedict.